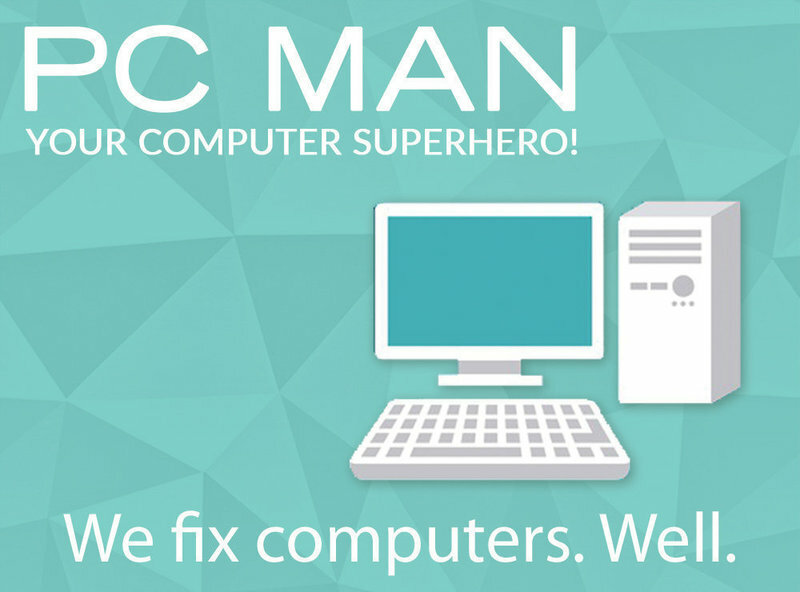 PC Man has been providing high-quality, affordable IT support and computer services for the home and office, across London and the M25 area since 2005. We offer a wide range of computer services and IT support including home computer repairs, IT services for small businesses, PC and Apple support and cloud services. We are wireless networking specialists, able to assist with all WiFi issues from simple WiFi access to a complete wireless set up. We can help with any streaming problems you may be experiencing with audio systems such as SONOS, as a result of poor WiFi coverage. We'll travel to you. Our IT support technicians can come to your home or office to fix your computer problem or set up your IT, quickly and efficiently. We also offer remote support for smaller issues that can be managed from our office, without intruding on your day. Contact us to see how we can help. I've been using PC Man for around 5 years for a variety of smaller jobs and one large installation too. For the larger job they installed a projector, screen and sound system for my TV including in ceiling speakers. The whole system is amazing and I've been so pleased with the results as it involved working around builders plus they recommended all of the hardware so I didn't have to worry about a thing. What I really appreciate though is having support on the smaller things. PC Man are able to come to my house or my office, whichever is best for me and sort stuff like routers, buying new laptops, transferring all the data and taking all the hassle out of it for me. Definitely recommend. PC Man was recommended to me when we had repeated problems with my home internet connection. We wanted a decent home network to use Sonos, have WiFi that’s reliable enough for me to work from home, and watch Netflix without it dropping out. We’d been trying to do this on the standard BT equipment, but it wasn’t up to it. I told PC Man what we wanted to do, and they just made it all happen. They set up everything we needed, providing all the equipment (including routers and Sonos), ran the cabling under the floors so it’s completely invisible, gave us a really neat ‘hub’ for all the technology, tested it all – even the TV channels - to check we were happy, and made sure we could work everything before they left. We now have fantastic WiFi, TV and music throughout the flat, with no cables showing, and couldn’t be happier. It was a really great service, and I wholeheartedly recommend them. We have been using PC Man/Michael to look after our household IT set up for almost ten years now. His advice is clear and accurate, and he listens to what it is you want to achieve. He is always punctual, tidy and efficient. He resolves any issues quickly, and is reliable and trustworthy. In short PC Man provides a great service and I wouldn't hesitate to recommend him. In my opinion, I found the company difficult to communicate and deal with. The company was contracted financially through my builder who asked me to work with PC Man as well. After the initial installation, there were a number of issues which included, but are not limited to the following. I was not given the details of the network administration to change my network password, a number of data points are faulty and all the various pieces of equipment were crammed into a data cabinet causing overheating and subsequent issues with the equipment (even though all the cabinet and shelving were on site at the time of installation). I provide all the requested equipment (which was agreed prior to purchase) except for commercial grade routers which were out of our budget at the time. However, I did purchase one of only two Which? Best Buy router, the Netgear Nighthawk. For nearly six months I requested that the various issues be resolved with no progress. I finally received a quote which I felt was excessive and which appeared to me to include a cost for fixing the original errors. At the same time the router specification unexpectedly changed, significantly increasing the price. When I did question this, it was agreed it was not necessary. My issues still remain unresolved. I’m sorry to hear that you’re not happy – at PC Man we pride ourselves not just on the quality of our work but on customer service and satisfaction. Sadly, as we were not engaged by you directly, but by your building contractor, some of the issues you’re experiencing are out of our control. I want to address some of your points which I hope will help. - You can find the router admin password on a label on the bottom of the router – it hasn’t been changed from its default setting. Your building contractor should have told you this, as we relayed the information to them. - The data points were installed by the building contractor and not by us, so you should take that up with them. - PC Man didn’t supply any of the hardware for this project, and in fact you didn’t take our recommendations for hardware, designing your own network and buying your own hardware, so the fault there was out of our control. When your network failed, your building contractors asked us to quote to put it right and upgrade the infrastructure, which you didn’t want to do. I hope this answers your questions. PC Man has set up all of our computer systems to support The Awareness Centre. They also host our emails, look after all of our IT issues and update all of our software. PC Man has designed our web site and manages our site on a weekly basis. Michael restored my crashed computer and I found his work to be excellent. 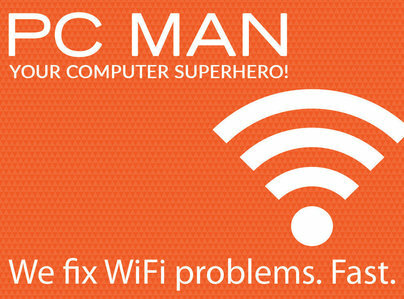 I have been a customer of PC Man for years. Michael has completed many projects for us including restoring lost data, sourcing PCs and laptops, installation of software, creation of wifi systems and email hosting. We just underwent a total renovation of our home, and Michael and his team did all the cabling and other installation for the wifi, SONOS and television system. All the work was completed to the highest standard. Michael is always aware of the newest technology and is able to recommend the appropriate systems. He is also always available to help with the small questions that bedevil the non-expert. Cannot praise him highly enough. We have been using Michael for some years now and he has just finished quite a complex project for us which we are totally delighted with. The quality of Michael's work is always fantastic in fact his attention to detail is meticulous. He explains everything in a language that I can understand - no techno babble!! He is totally reliable and always sticks to the price quoted. We have never had any surprises with unexpected 'extras' that we weren't expecting. We look forward to working with him again.